The fresh hop beer season is on and many breweries held festivals this past weekend. Too bad the weather didn't cooperate. Temperatures in the 60s with rain and wind don't generally attract the masses this time of year. In December, sure. 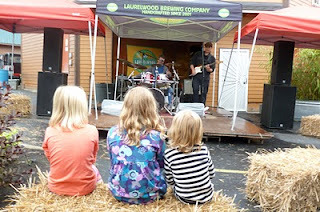 Over at Laurelwood, they celebrated fresh hop season and 10 years in business with Laurelfest 2011. That's right, they opened at the old Hollywood location 10 years ago. Laurelfest was happening at the Sandy headquarters and at the new Battleground location Saturday afternoon and evening. Laurelfest featured live music, special grilled foods and they were pouring beers in the outdoor area. When I arrived, there was a band playing and a decent number of bundled-up folks hanging out under a tent behind the pub. 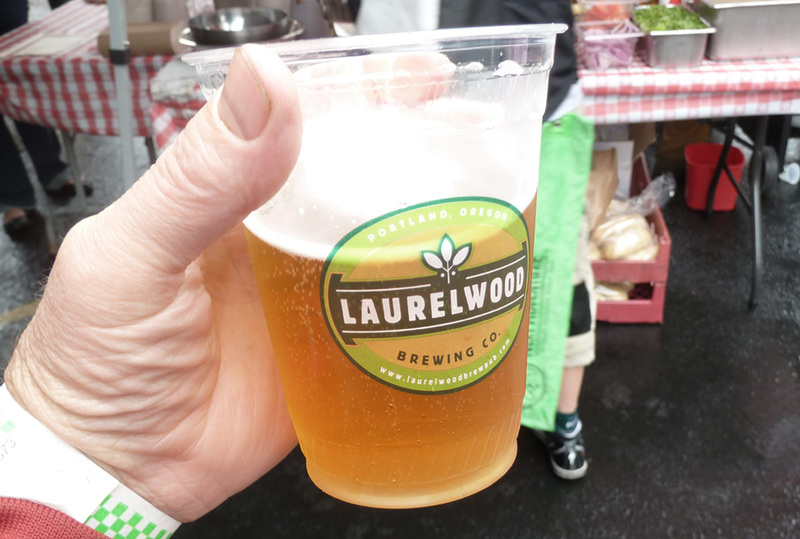 True to Laurelwood's demographics, there were several families under the tent. Those are future patrons, for sure. They were pouring two beers outside: Gearhead IPA and a special Laurelfest beer. Gearhead is a recent release and will soon replace Workhorse for a short while. Gearhead, which I'd already tasted, is a good standard IPA. It doesn't have the floral character of IBUs or Workhorse, but it's a good beer. When it comes back on, Workhorse will likely be re-positioned as an imperial IPA, giving Laurelwood two IPAs to choose from. 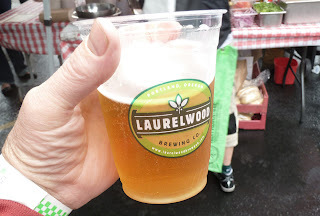 I was surprised to discover the Laurelfest beer was a lager. Of course, you can add fresh hops to any beer and get good results. Over at Lompoc, they were recently pouring a fresh hop red made in 2007. You can't tell me fresh hop beers don't age well. Anyway, Laurelfest Lager didn't have quite the hop aroma I was hoping for, but it had a nice character. I'd like to see more of it. Despite weather that put a damper on things, attendance at Laurelfest was decent. Still, let's hope the weather in coming weeks cooperates as the fall fests keep on rolling.